Iguana Deck Rates Coming Soon! *Note: RATES are per person double occupancy for 8 days and 7 nights. The SINGLE rate is limited and cabins are assigned to any deck by Ecoventura at the time of sailing. A guaranteed single on the dolphin or booby deck incur a rate of 100% supplement. Females willing to share (WSF) or Males willing to share (WSM) are available at the iguana deck rate on seasonal departure dates only. On peak departure dates, the single rate will apply and a share request can be placed on wait list. Only if the share is matched will the share rate apply. 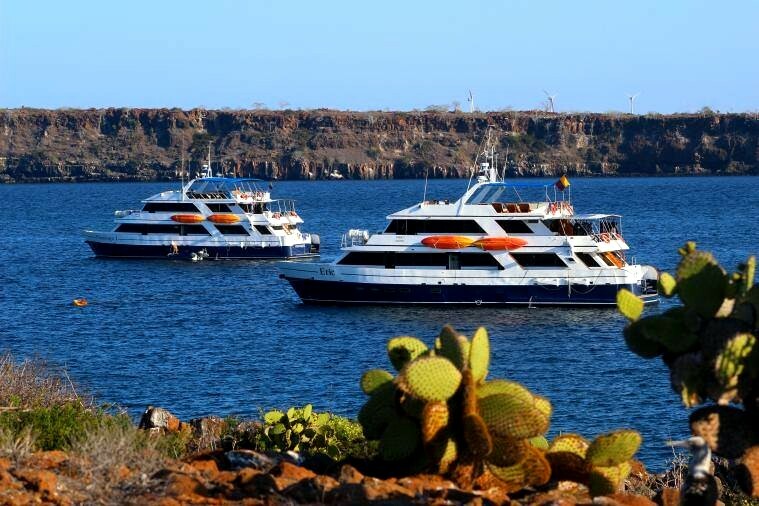 Two TRIPLE occupancy cabins are available on the Iguana deck only. Charter rates are available for up to 20 pax maximum - call EcoAdventures toll free 1-800-326-5025 for availability and more information. †Airfares subject to change without notice - rates apply all year. *The rate for children applies to minors between the ages of two and 11 years, 11 months and 29 days, who travel accompanied by an adult.